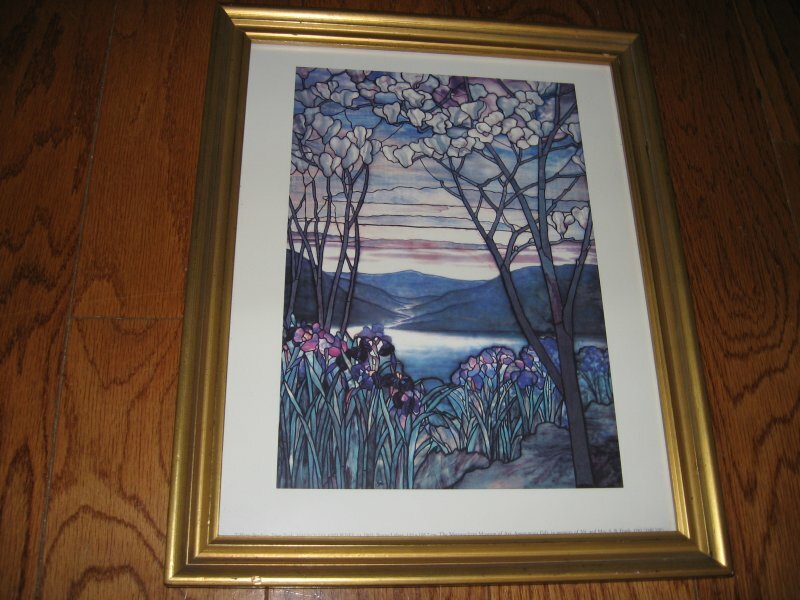 This is a beautiful reproduction of a print of Tiffany Glass stained glass production titled "Magnolias and Irises" year 1905. There is non-glare glass in the golden colored wood frame. The whole piece measures 12.5" X 15.5".